Are you looking for a beautiful new or used vehicle? 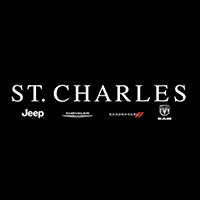 St. Charles Chrysler Dodge Jeep Ram has a large selection of new and used cars, SUVs, and trucks to choose from. At our Elgin Jeep dealership, our friendly sales representatives are always ready to help you find a stylish vehicle that works best with your lifestyle. One of the trusted Elgin Jeep Dealers, St. Charles Chrysler Dodge Jeep Ram is a full-service dealership that offers certified technicians, friendly sales staff, and an expert finance team. Visit our website to learn more about our current specials on our Elgin Jeep cars or SUVs or come visit our dealership to speak with our sales staff about our Elgin 2019 Jeep for sale. Our sales staff take the time to match you with everything you’re looking for in a new vehicle and work with you to make sure you get behind the wheel of the new or pre-driven vehicle that you want. Elgin is a city that is located about 35 miles northwest of Chicago in Illinois. The town is located along the Fox River. As of 2013, Elgin has a population of 110,145 residents. It is the eighth largest city in Illinois. Elgin is diverse both culturally and economically. It is a rapidly growing town that offers a wide variety of housing, great city services, convenient transportation, and more. Some of the attractions in Elgin are the Gail Borden Public Library, the Grand Victoria Casino, various performance arts spaces, and many restaurants. Elgin also offers a variety of cultural arts, recreation, and entertainment. The city also offers a variety of beautiful parks, more than 100 places of worship and historical museums. In addition, it has a variety of diverse commercial businesses and housing options, public transportation, and much more. Our premier dealership has a state-of-the-art auto repair center where our top trained technicians perform regular maintenance such as auto-glass repairs, wheel repairs, transmission repairs, and more. If you choose to work on your own vehicles, our Elgin Jeep Dealership carries an assortment of manufactured-certified parts such as batteries and oil filters, so you can work on your own vehicle with quality parts. Our service department offers an Express Lane to get things like an oil and filter change or tire wear and pressure check done in a timely fashion. Our dealership is the perfect place to find an Elgin Jeep For Sale or lease that matches your own style. If you are looking for an Elgin New Jeep For Sale or a reliable pre-driven Elgin Jeep SUV, car or truck, come visit our friendly Elgin Jeep Dealer today!